If you are here there are high chances that you are an author looking to resize images for your article. After all, a good image is worth more than a 1000 words and it is important to make sure those words look neat and precise. I use Ubuntu on my computer and I have not yet been able to find a tool to resize bulk images. Not only resize, but I usually need to convert the format of these images too. I have been relying on online tools to do this task but there are very few such good tools available. One such tool that I want to share with you today is ResizeMyImg (https://resizemyimg.com). 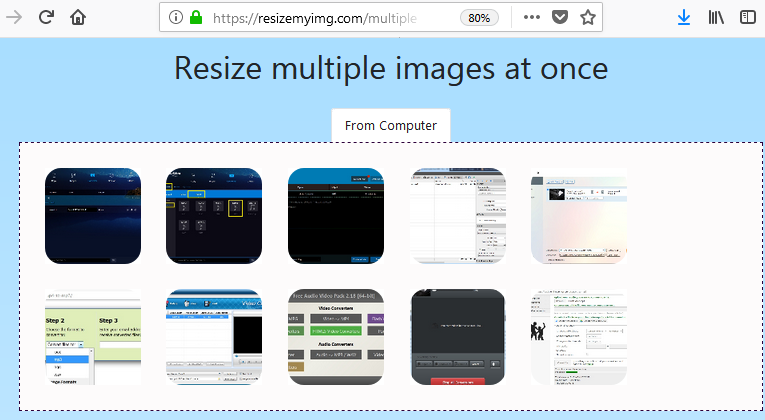 Step 1 - Open the website and click on Multiple Resize (https://resizemyimg.com/multiple) link. Step 2 - Click on the area in the bordered rectangle below From Computer heading. Step 3 - Select all the images you want to resize. Step 4 - Once all the images are uploaded, you can see them in a list a little below with the heading "Resize your images:". You now need to decide how you want to resize all the images. You can reduce the images by the default option of 25%, 50% or 75% or you can give a custom size in percentage or pixels. The percentage or pixels is configurable in both dimensions of height and width. Step 5 - Once you have decided the image sizes, you can also now decide the image quality you want, the maximum image size you need and the image type - GIF, PNG or JPG. 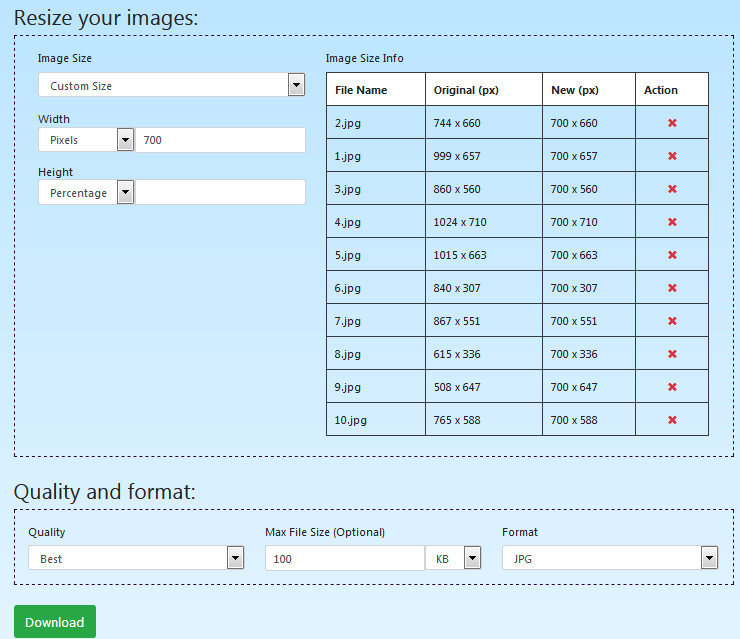 Step 6 - Since configuring images is done, click on the Download button to get a zip file of all your processed images. ResizeMyImg is an easy to use tool that gets the task done quickly. It is the best tool for authors like me who need to resize the image once our reviews are complete. It is a great tool for logo designers who can make use of its Social tools for resizing the Facebook cover picture and Twitter profile header. Once the image designing is complete, head to ResizeMyImg and make the image perfect fit for their respective positions.